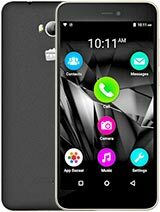 I am using micromax A117 since last 13 months and its my first Micromax phone and maybe the last. Lets start with the A117 first. 1. Build quality is not good, but its ok with the price. 3. It has been been said that there is a quick option which can detect the software update so that u can simply update the software. But since today no update is available. 4. Sometimes the phone hangs while incoming call. Si neither i can receive the call nor disconnet. 5. I had some problem with the lock key aswell. 6. Charging cable is not gets fit properly with the phone, its creat lots of problem using phone while charging. 7. While conneting phone to my laptop using the data cable you have to safely remove your device but as metion in above in point due not perfect fit the phone gets disconnected and guess what, i had lost all my playlist and I am a music lover so this is a big blow for me. Thats I could say quality matters. Not lets come to Micromax brand. 1. Worst customer service. I had gave my phone to service center and they said it will be repair in a week but acually its not 15 days passes And I went to customer service again and got the same response (1 more week ) Only reason parts not available. These people have no clu when the parts will come but they will always say 1 week. I asked few other people present and guess what they all were waiting for mire then a month. 2. 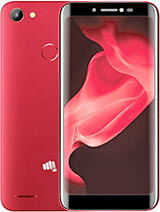 Last but not the least send '=' (only equals sign) as a msg to any micromax phone and thier phone will be restarted. I had sent them a mail reagarding the same 6 months ago and here as well no responce. Is there kitkat update for micromax canvas magnus a117? K K SHARMA, 22 Jan 2015Have been using this phone for close to 13 months, two gripes have been 1) erroneous charging,... moreHow to do this? i.e. is there a way to swap phone storage for apps? I am also looking for it. Somebody pls help me. Have been using this phone for close to 13 months, two gripes have been 1) erroneous charging, I have set the phone to Auto Shutdown and Auto Switch On daily, that has sorted the issue, 2) Limitation on the 1 GB allocation for the apps, which is holding up update of the existing apps, had this been set as 2 GB for the apps and 1 GB of user space that would have been quite useful. 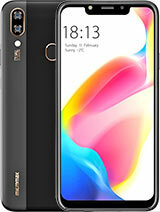 MMX cmpny tell me about MMX canvas that 1gb RAM and 4 GB internal storage . but i can't get any type of this..may be Micromax is froud.. I replaced the touchscreen and display of my phone. Now when I call proximity sensor doesn't works well I.e when I want to disconnect the call the screen remains black so I can't disconnect the call. Also I tried to end call using power key but that method also didn't worked. Tell what to do now? How to disable proximity sensor? where is the new update for mmx a117? Camera is good and performance is also good but sound quality is worst, overall good phone .this phone is 85 out of 100 good. 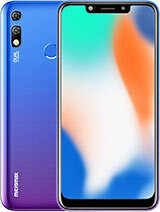 I would like to inform every smart phone lover here that if you are thinking of buying any mmx hanset then let me tell you this could be worst nightmare of your entire life. very poor hanset jst works for 6 months and then it starts showing its true colors. very very poor and delayed service i should say, i have been facing the issue with mother board and submitted the phone on september and had not recevied yet which means my cellphone hasnot been yet repaired it has been 4 months till now and now you people can imagine what can happen to your hansets. if you want to buy hanset in good price just dnt go for mmx just becouse it has good price. it is the worst cell i have xperinced. Friend gave me Canvas 190. Better is Canvas 190. Hexa core processor. Better speed. Good. 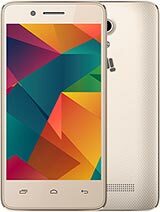 AnonD-186507, 24 Nov 2014Hello friends,I own a micromax canvas magnus.Its been 10 months i m using it.Sometimes my cell... more1 yr. Passed ... Saw many phones but didn't got camera & video quality like this ... Superb Perfomance !